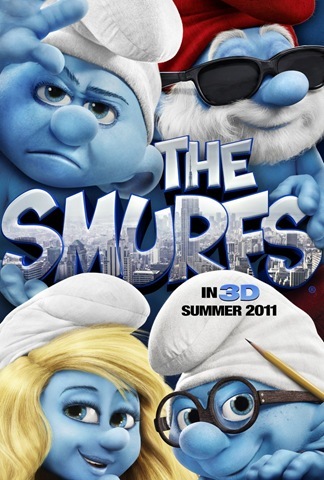 Joining the line along with Yogi Bear, Scooby Doo and Transformers as cartoons that have been turned into CGI movies is The Smurfs and quite surprisingly, it’s actually not a bad movie at all. The story isn’t the best of stories and is quite simple but let us not forget that this is a movie that is for children and would be a little bit like making a full-length review about Elmo in Grouchland. Although the story is quite simple and has been done a million times before, it was still pretty entertaining and children will love it, although adults may find it a little dull sometimes. Character-wise, the writer and the creator of the movie didn’t try to change the smurfs to make them cooler or even appeal to this generation and stuck to how they were originally designed and intended in the cartoons, which is a good thing. The Smurfs themselves were surprisingly loveable and funny in a couple of situations but the funniest character out of the movie was Gargamel’s sidekick CGI cat, Azizel, who provided the audience with the most laughs, which didn’t exactly happen very often in the movie. The only bad thing about the characters in The Smurfs is how weirdly out of place Gargamel looked throughout the movie. He stuck out like a sore thumb! Of course, The Smurfs falls into that stereotypical place of ‘be yourself’ and ‘be kind to each other’ but this is a children’s movie so it’s nothing new. Although I have to admit, the best thing about The Smurfs is the fact that it’s better than expected and didn’t exactly try to be anything it wasn’t. It’s target audience is children aged 3-10 and it succeeded. Overall, if you are a parent, your children would love to see this movie as it would entertain them. For me, watching The Smurfs was pretty cool because when I was a child, I used to watch the television show in the mornings before going to school. After seeing endless advertisements for the movie, I was a bit dubious as to how the movie would turn out and I was half-expecting it to be as torturous as sitting through one of those awful Seltzer and Friedburg parodies but to my surprise, it actually wasn’t bad. Okay, it’s not exactly the greatest children’s movie and there is better but considering the competition this faces a la Disney and Pixar, it’s good.